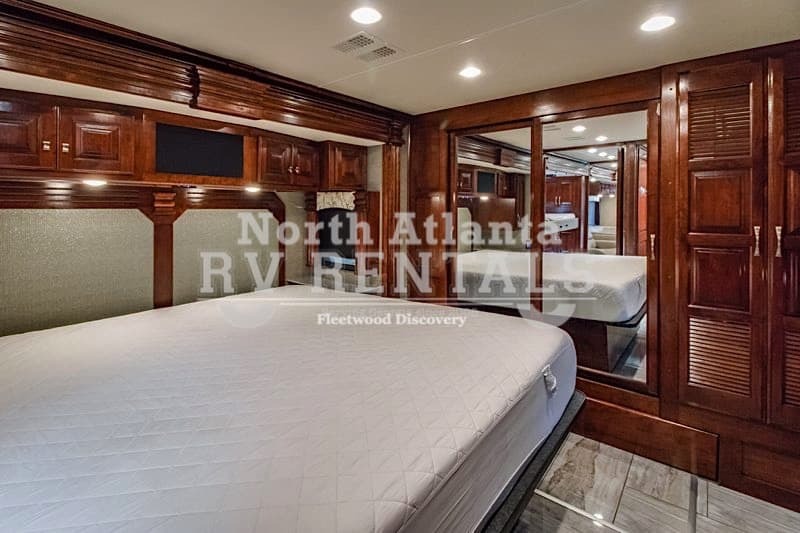 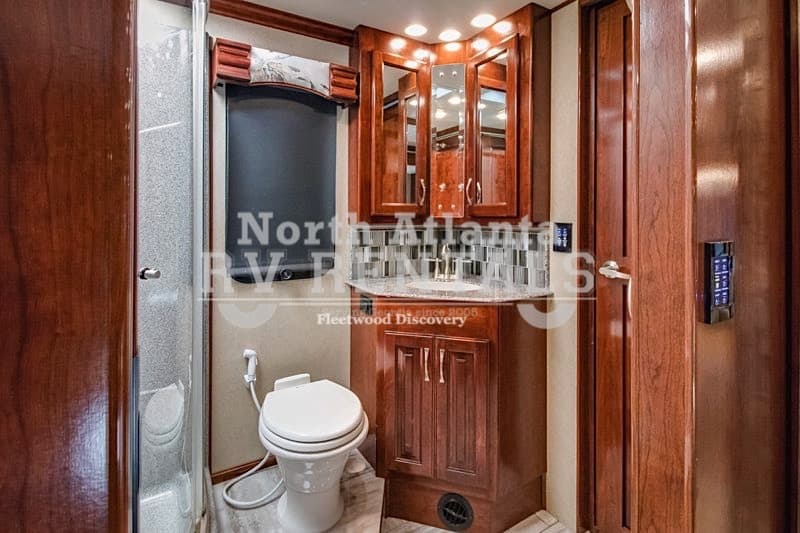 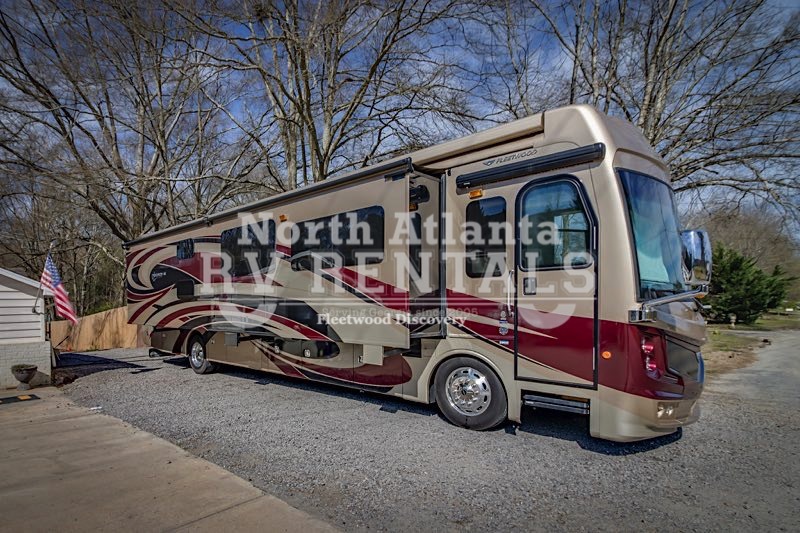 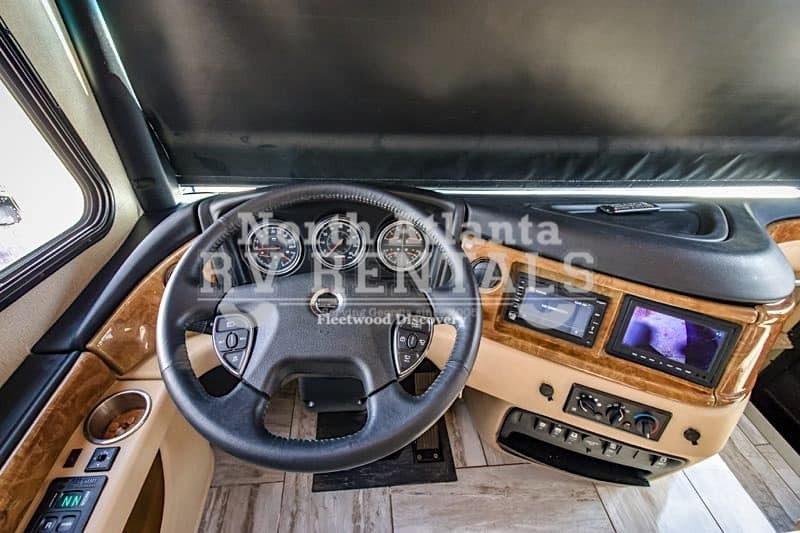 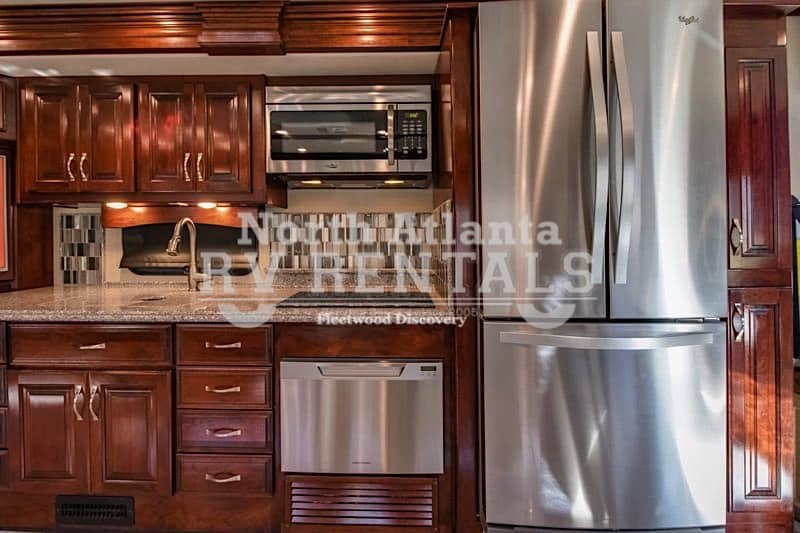 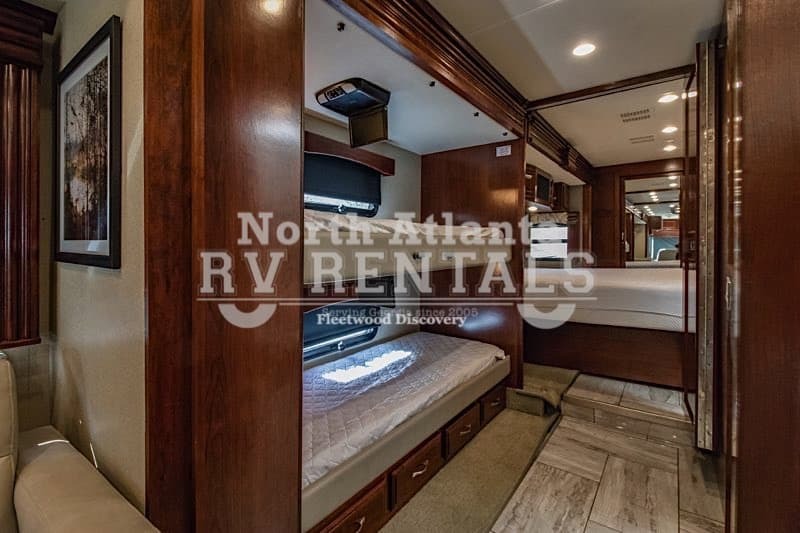 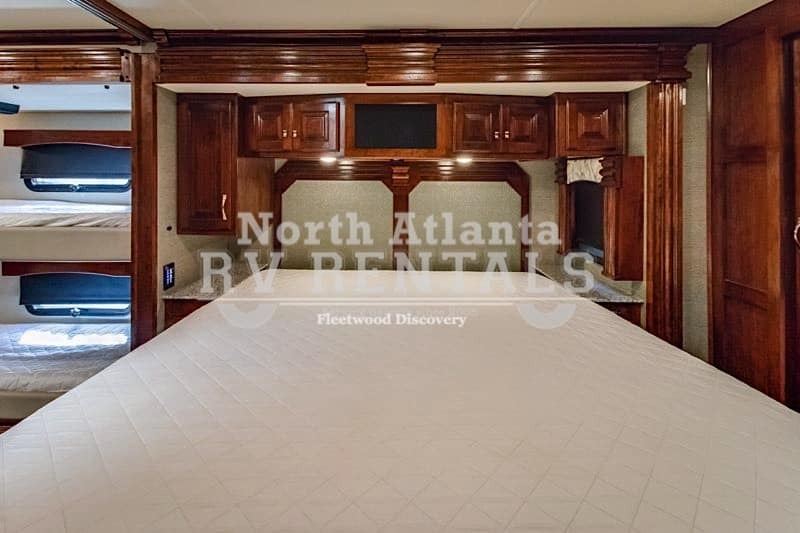 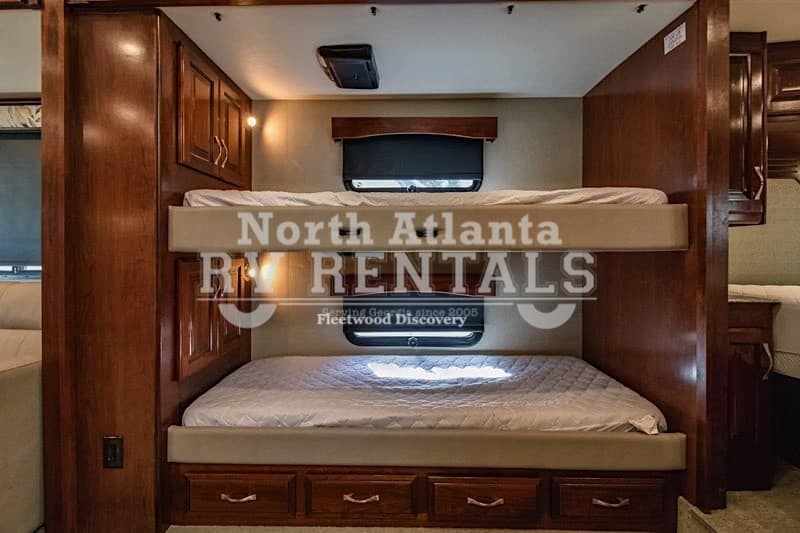 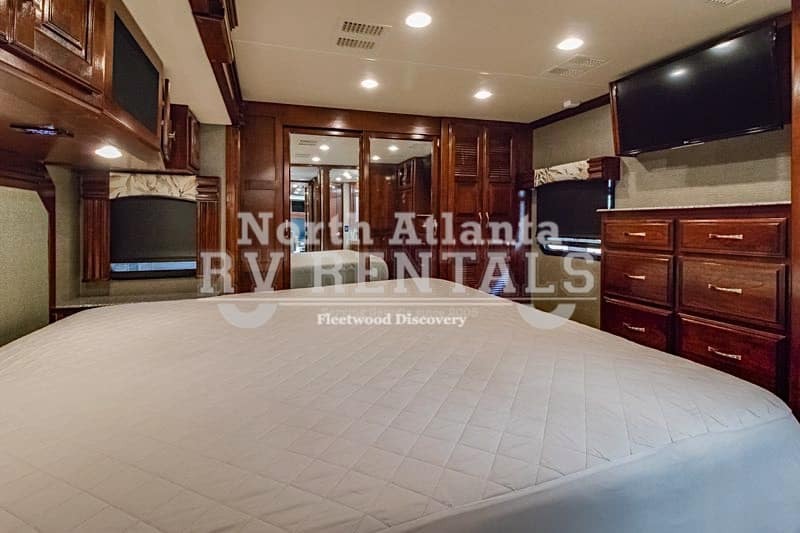 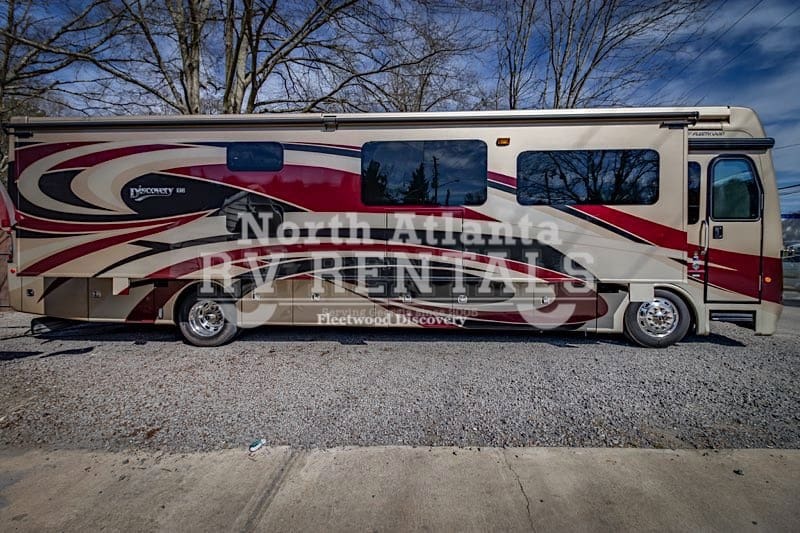 Extras: Fleetwood Discovery LXE Model 40G Bunk Model with 2 slides including a full wall slide is approximately 41 feet 4 inches in length featuring a U-bench dinette, bunk beds, 380HP Cummins diesel, Power Bridge chassis with V-Ride rear suspension, an 8KW diesel generator and an Aqua Hot. 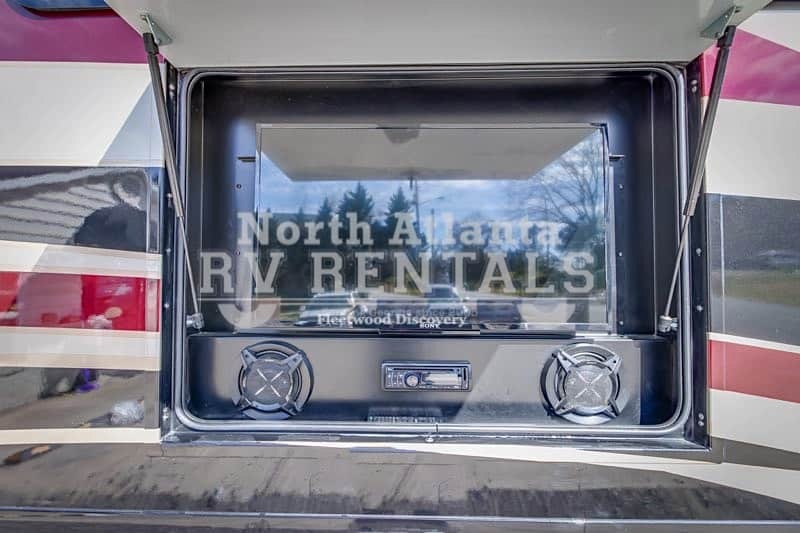 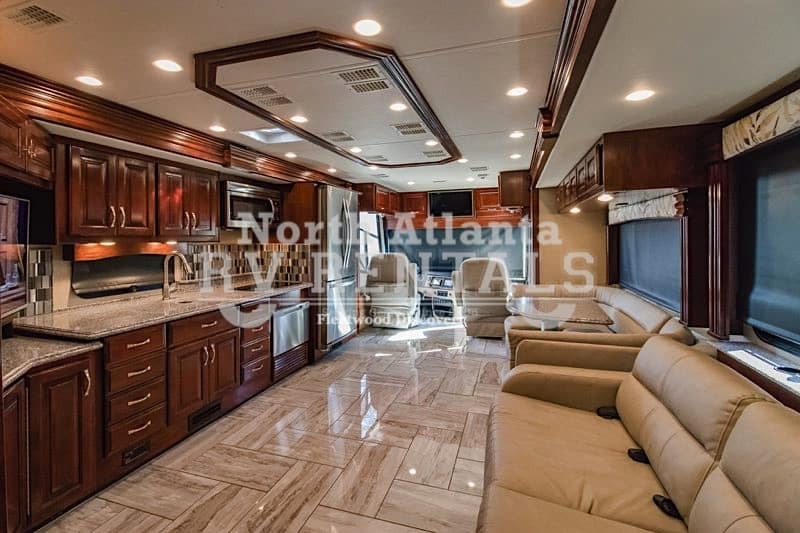 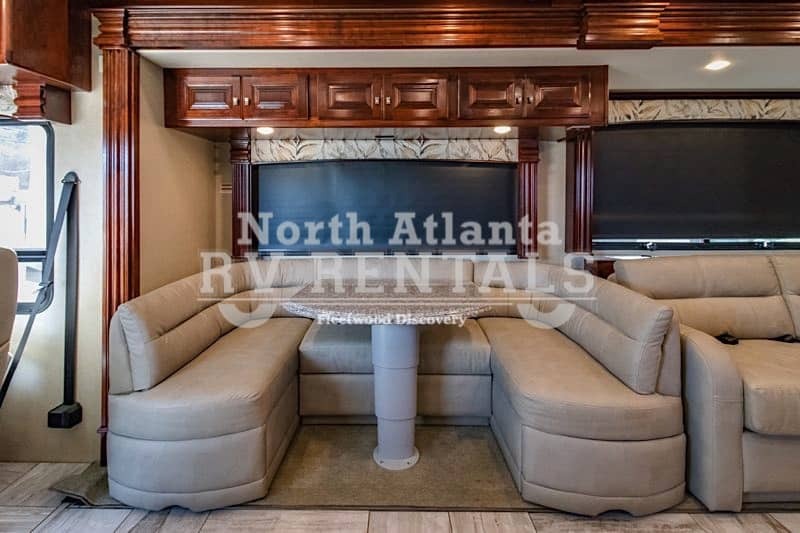 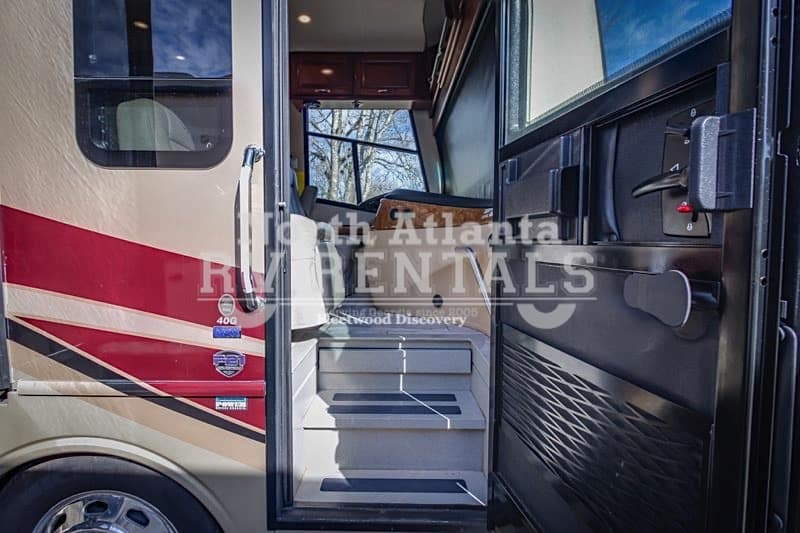 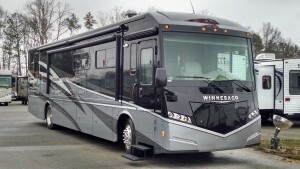 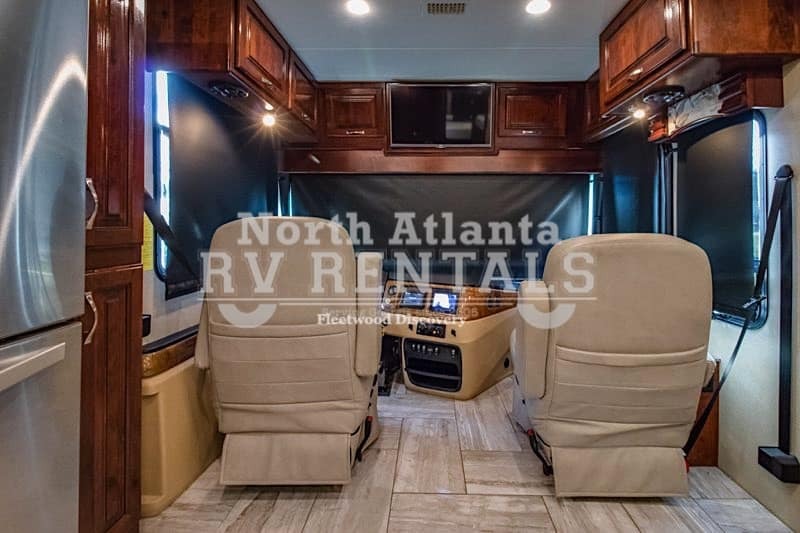 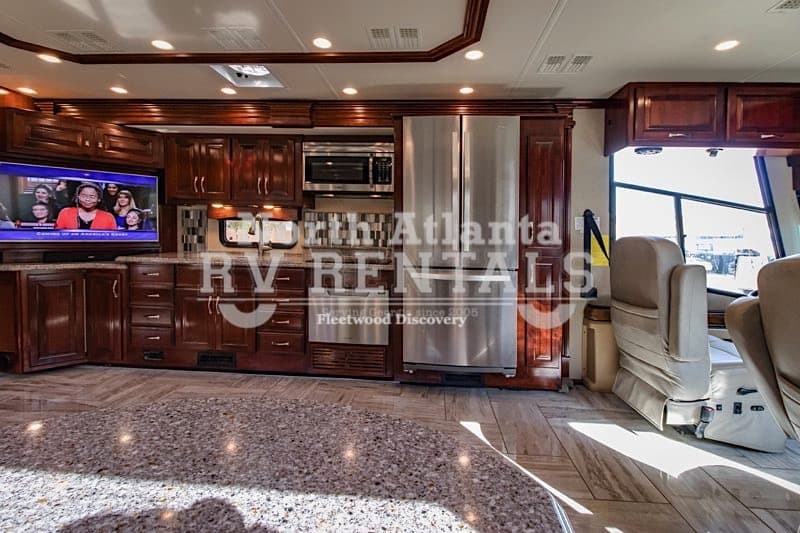 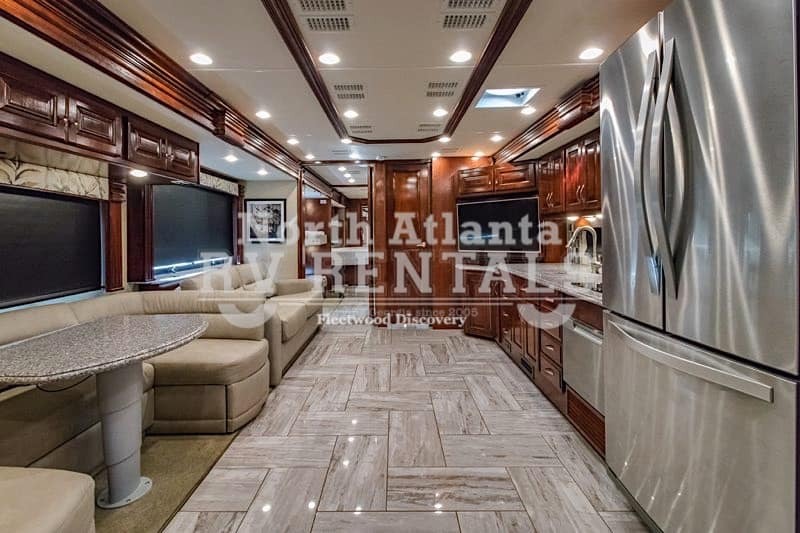 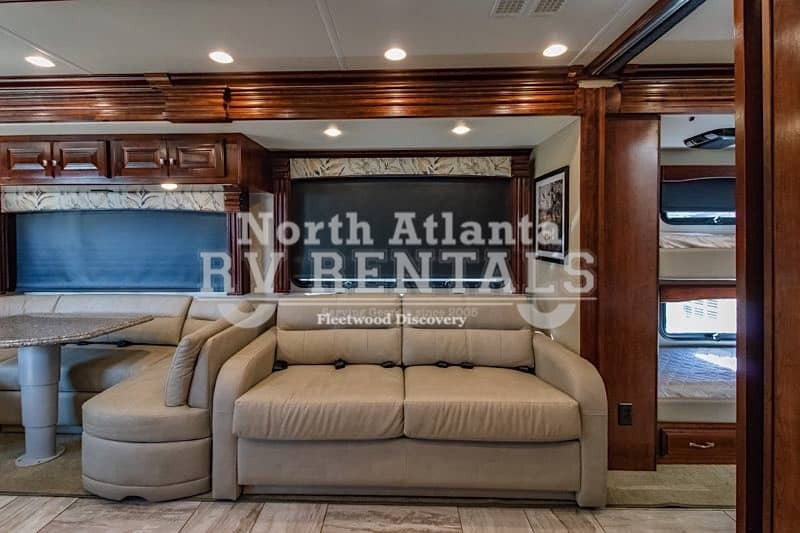 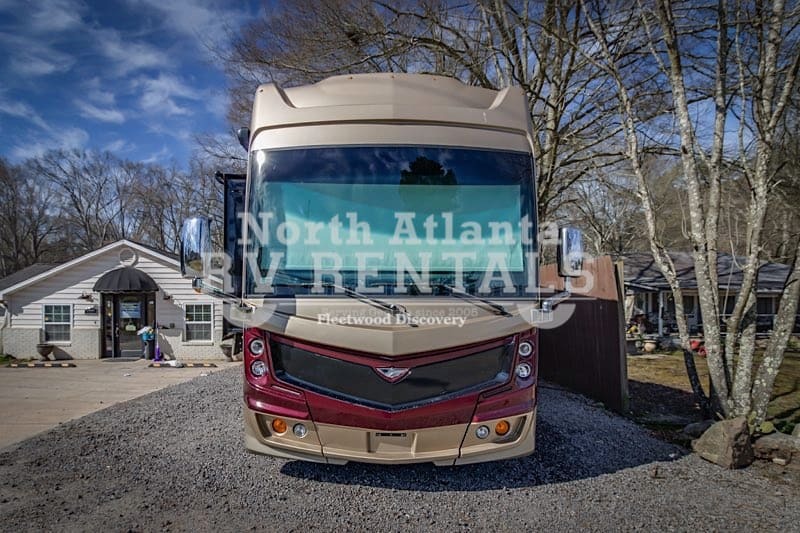 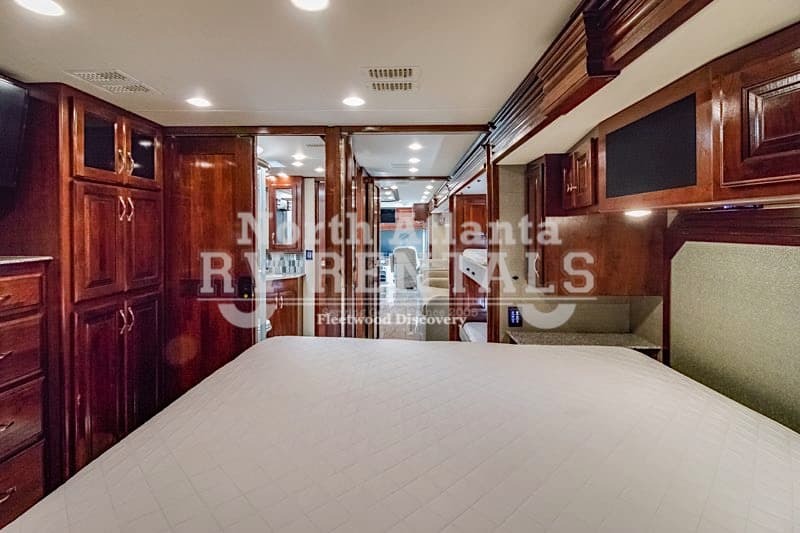 New features for 2017 include new interior and exterior stylings & décor, front zone heated floor, recessed induction cooktop, upgraded bunk mattress, under chassis lighting, large exterior TV made standard, LED exterior lights, 15,000 BTU A/Cs and much more. 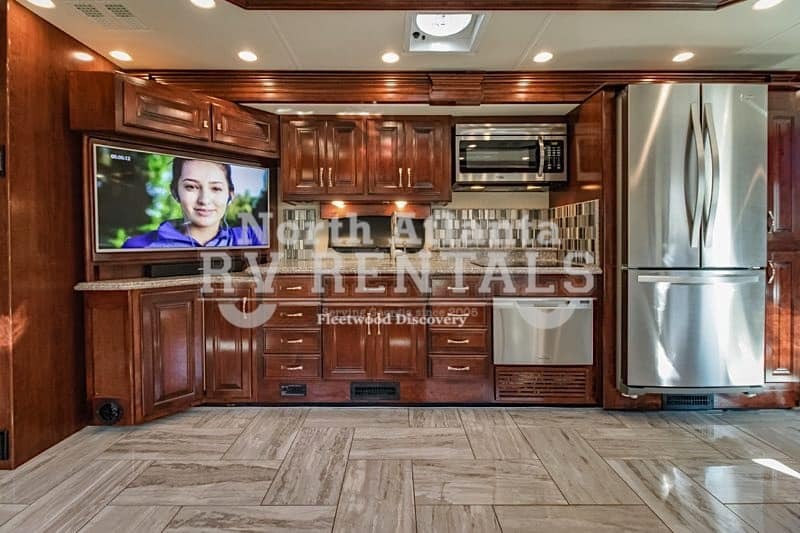 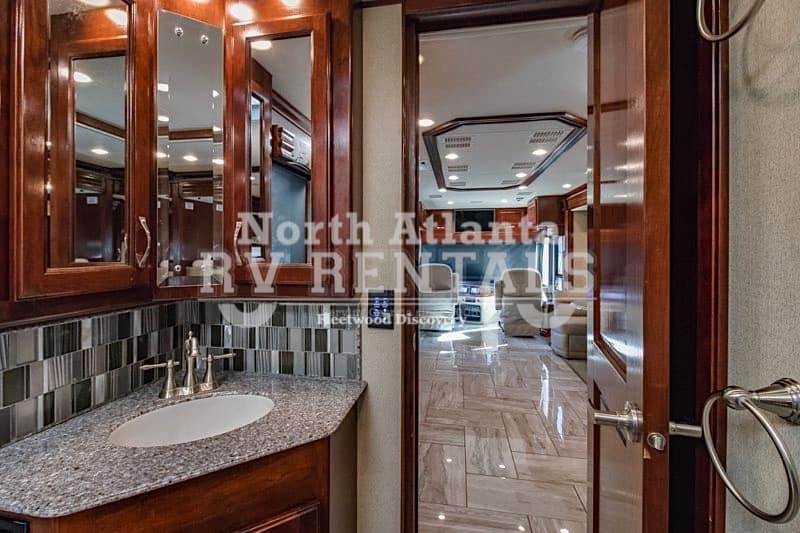 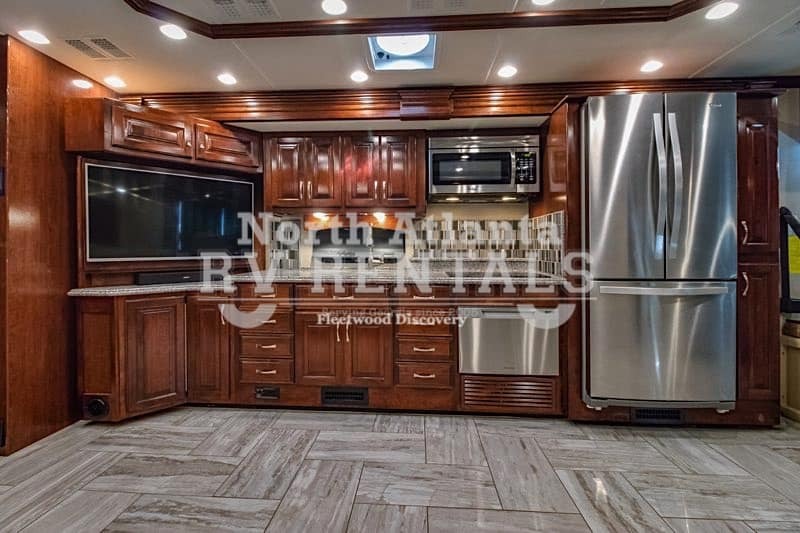 This amazing diesel pusher RV features a 3rd roof A/C, solar panel, integrated Girard patio awning, Firefly Integrations Electric Control System, residential refrigerator with 2,800W inverter, dishwasher, flush mount induction cooktop, residential polished porcelain tile throughout, solid hardwood cabinetry throughout, soft-touch ceiling with quiet cool A/C interface, in-dash 10 touch screen with navigation, soundbar, six-way heated power driver & passenger cockpit seating.